Benefits - Keep skin smooth and soft during your nine month stretch. 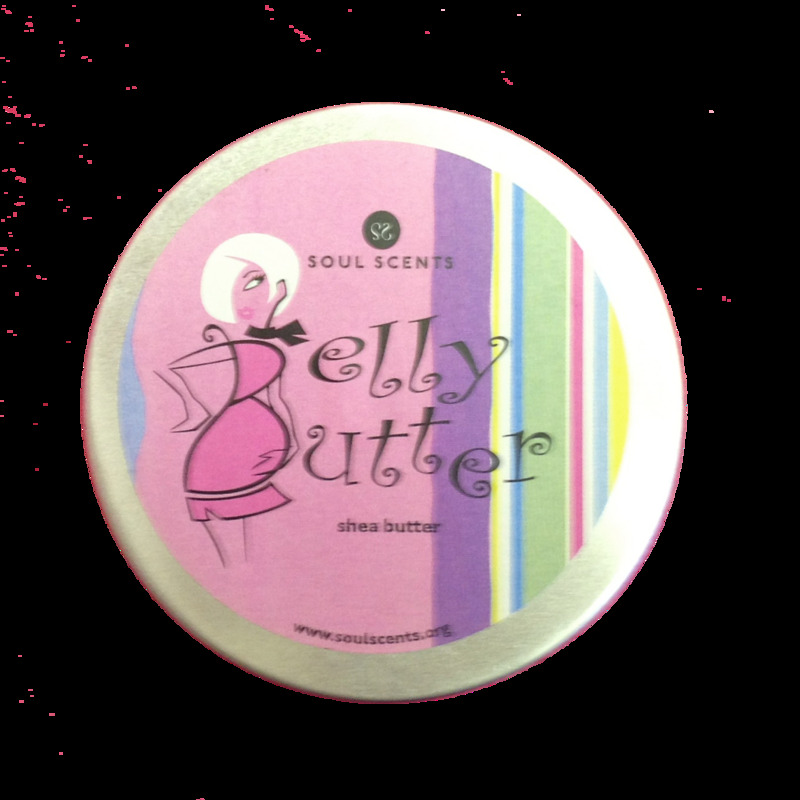 Condition your belly with cocoa butter and vitamin E in this extra-rich shea butter. It's specially formulated to help skin retain moisture and elasticity during your pregnancy. Keeping your skin healthy during pregnancy means more comfort now and helps belly bounce back into shape later. Uses - Smooth over belly after bathing or whenever it feels tight, dry or itchy. To bounce your belly back to shape post-pregnancy, continue to use the butter to smooth and tone your skin. Tips – Use often and combine with our skin sorbet body scrub to insure your skins elasticity is at its maximum for that precious growing baby!